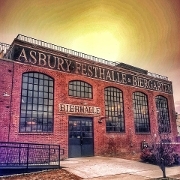 Asbury Festhalle & Biergarten brings an authentic biergarten experience to Asbury Park. We welcome you to join us in the centuries-old European tradition - communal tables where friends & soon-to-be-new-friends mingle in a lively, friendly atmosphere energized by live & local music. Our expert bartenders pour 41 draft & over 100 bottled including American craft and rare import biers. 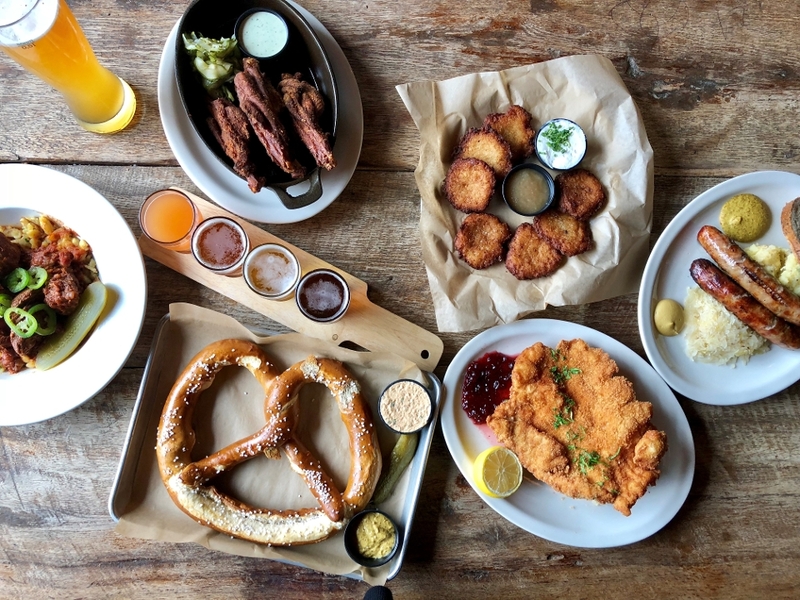 The menu is classic biergarten fare, flavorful, perfectly executed and cooked to order. The delicious choices include traditional wursts, schnitzels and of course, our famous Belgian bretzel. The word "Fest-halle" literally means "Feast-Hall," but is best translated as "Festival Hall." Festhalles are commonplace in Germany and can be found in many towns and cities, they range in size and use from small neighborhood activity centers, to large-capacity stadiums able to seat thousands of spectators. The Festhalle is a place to gather and experience incredible food, music and our incredible AP community.